The October issue of EARTH Magazine has a story about the volcano Pacaya (Guatemala) by Michael Steel. The article features some of the photos I took during my trip there. It was three months after the May 2010 eruption, while the lava flow was still quite hot. Check it out! 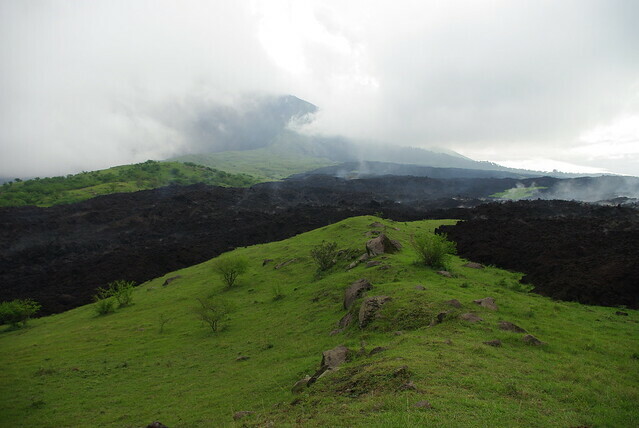 Below: Pacaya’s 2010 lava flow rolling over the green hills of Guatemala.